Who doesn’t want a robotic sidekick to join them as they traverse the stars? Well Cosmic Odyssey: Service Bots & Synthetic Companions has you covered! 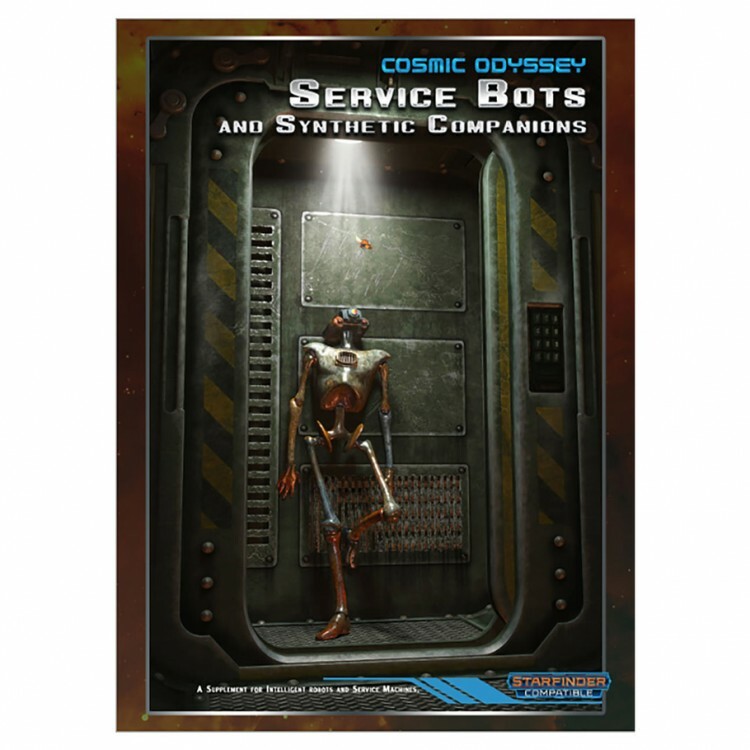 Cosmic Odyssey is a line of Starfinder Roleplaying Game compatible products designed to give you, as both a player and as a gamemaster, all the tools you need to fully explore a classic motif of science fiction with new character options, equipment and vessels, as well as a location and NPCs. Designed to be dropped into your existing game, or to serve as a starting point for your adventures, each Cosmic Odyssey is ready-made for action. In Service Bots & Synthetic Companions we bring you all the rules you need for building your very own robot pal as well as several pre-made Service Bots, or SBs. These synthetic companions exist in a space outside the fully-autonomous android race and the advanced machine companions of the mechanic class’s drones. Instead, our SBs are robotic companions for everyone (that can afford them). And, rather than just generic rules, an entire corporate world of competing manufacturers with different goals and ideals — as well as of course designs — is presented to provide gamemasters with a rich tapestry of backdrops and plot hooks, as well as to give players more flavorful companions then just a string of letters and numbers for their robotic buddies.